This rare piece is brought to you straight from Italy. 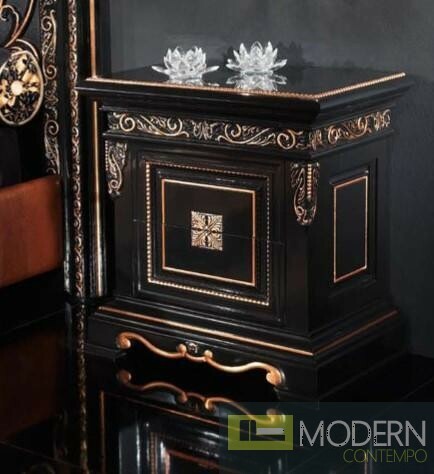 The nightstand is constructed from high quality hardwood and given an elegant, black finish. 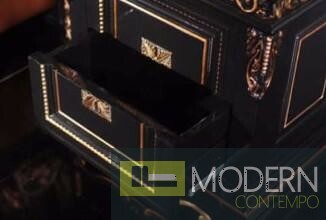 Throughout the piece is golden accenting and carved wood detailing. The two drawers provide a great opportunity to store your belongings. W25.8" x D16.7" x H26.8"